Whether you are visiting as an individual family or as a larger group, Pennsbury Manor can help you plan a visit to meet your goals. Our homeschool programs are designed to introduce learners of all ages to the world of William Penn! Call the Education Program Coordinator at 215-946-0400 to plan your visit. Homeschool tours are available on Wednesday afternoons, March – December. Let us know what time you can arrive and what time you have to leave and we will help you plan your visit! 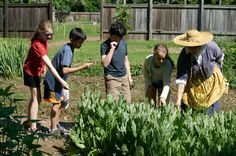 The homeschool tour includes a guided tour of the Manor House and two hands-on experiences such as 17th century medicine, writing with quill pens, and daily chores. Our Education staff can help you select the best hands-on experiences for your group. This program costs $8 per person with one adult free per family. Join us as we commemorate the 300th anniversary of William Penn’s death by exploring his legacy! William Penn’s belief in religious toleration encouraged the growth of his diverse colony. 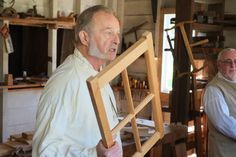 On Homeschool Day, your family will learn about the various cultures that came together at Pennsbury Manor though living history demonstrations and activities. We invite you to participate in a pop-up exhibit by creating a poster (no more than 27” x 41”) that reflects YOUR culture! Where does your family come from? When did they come to America? Do you know any stories about your ancestors? Share them with us and show how William Penn’s legacy is alive in America today! Arrive early to enjoy a picnic lunch and explore our permanent exhibit: The Seed of a Nation. This program costs $9 per person with one adult free per family group.